Nowhere Like Queensland: Our new baby! It's not actually MY baby. Or even a new furry one. 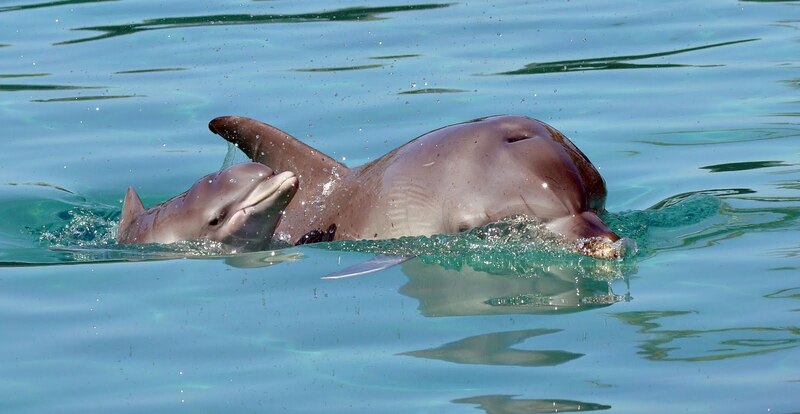 But everyone loves a newborn, so I couldn't help sharing the news about the arrival of Queensland's newest tourism ambassador ... a cute female Inshore Bottlenose dolphin. The sweet-as-sugar calf is already suckling milk from her mummy, and is swimming strongly beside her. Sea World Marine Mammal Trainer, Erin King - who it must be said, has one of the best jobs in the world - says the trainers are all really excited by the birth. “On the morning of September 2, we went to check on Zippa and we were delighted to discover that she had calved overnight," says Erin. 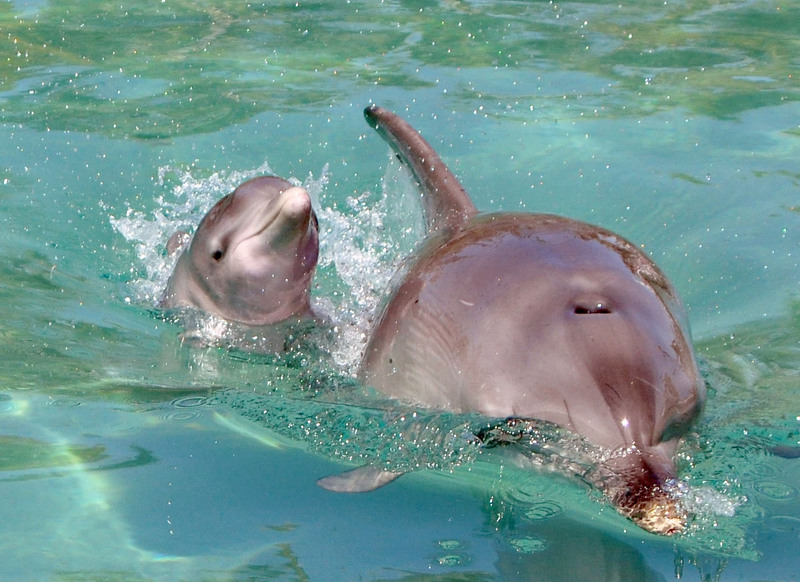 The Sea World dolphin breeding program is one of the world’s best, and the theme park is running a naming competition in conjuction with The Today Show between September 23 and 27. Meanwhile, Sea World visitors can see the new mum and calf in the park’s Dolphin Nursery pools located opposite the Sea Lion theatre. 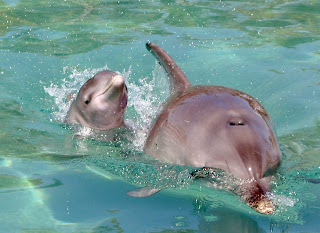 The best way to see Sea World’s newest dolphin is with a VIP Pass which offers unlimited entry to Sea World, Movie World and Wet’n’Wild until June 30 2011 for $99.99.